Internationally Acclaimed Yoga Teacher Training in Cleveland, Ohio! Established in 1993, Integrative Yoga Therapy's Therapeutic Yoga Teacher Training has become the premier program for those who want to teach Yoga as a healing art. You will learn tools to teach Yoga for the general public as well as for a wide range of complimentary settings, including medical, education, recovery, business and healthcare. This program is open to anyone with a basic foundation in Yoga and is especially suitable for body workers, healthcare professionals and all therapists. Individualized Teaching and Learning: Develop your Yoga teaching as part of your unique life vision and mission. This Program is based in the vision of Yoga Therapy and recognizes that the needs of every student are unique. We believe that each Yoga teacher should receive comprehensive and in-depth instruction in the wider vision of Yoga as well as detailed experiential instruction and practice in the tools and techniques of Yoga. With this foundation, each teacher is given a range of possibilities for evolving their own vision of the teaching process. Experiential Approach: Learn all the key concepts of teaching – class design, sequencing, pacing, use of voice and instruction, modifications, and adjustments – in a concise and clear format that is creative, comprehensive, and interesting. Understand Health & Illness: Learn the nature of health and illness from the Yoga perspective. Understand the role stress plays in health and illness as well as the specific ways in which Yoga manages stress. Interactive Psychology and Philosophy of Yoga: Learn the main aspects of the psychology and philosophy of Yoga in a way that is clear, well organized and can be integrated into your teaching and daily life. This study includes Patanjali’s Yoga Sutras, texts of Hatha Yoga, and the Five Kosha Model. Take Your Teaching Beyond the Yoga Classroom: Learn to teach Yoga classes for specific focus groups, such as Yoga for back care, depression, seniors, stress management, and many health concerns. These classes can be developed for a wide range of complementary settings. Multidimensional Approach to Asana: Learn to teach asana through the Integrative Posture Principles. These principles facilitate a precise and in-depth understanding of how asanas work at physical, energetic, emotional, and spiritual levels, and how to modify them for individual needs. Explore the Deeper Practices: Learn pranayama, mudras, bandhas, the chakra system, meditation, Yoga Nidra, and hands-on healing to expand your horizons of Yoga teaching. You will meet for 10 weekends between September 2019 and May 2020 (see training calendar below or download a printable brochure), with home study in-between to optimize your learning. The number of students is strictly limited to a 8 to give you maximum personal attention and experience. Nityatara Cathy Prescott, eRYT-500, C-IAYT, is lead trainer for IYT-Cleveland. She has been with Integrative Yoga Therapy since 2001, serving as faculty and mentor for their 800-hour Yoga Therapist Training Program. She is also a Vedic Counselor, Ayurvedic Practitioner, and Reiki Master. 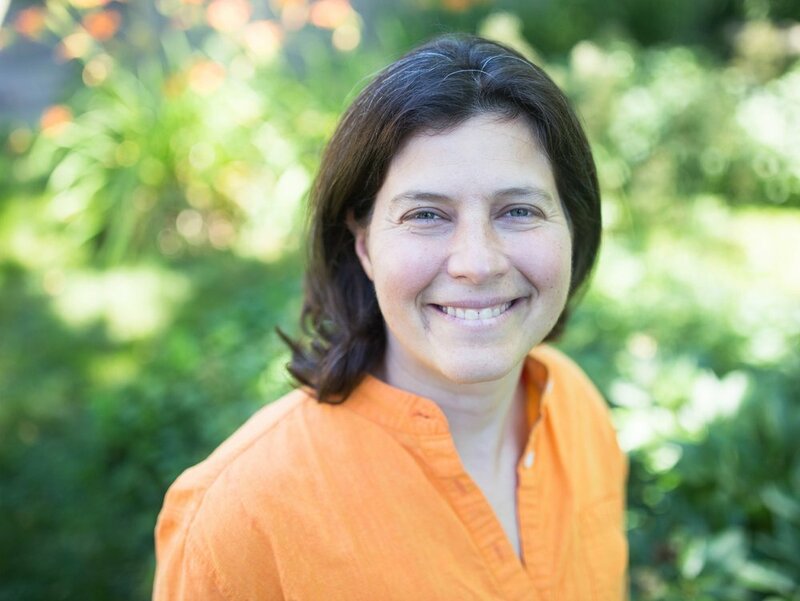 Atmadarshan Laura Santoro, eRYT-500, C-IAYT started coordinating and teaching in yoga teacher training programs in 2004 with the Yoga Academy of North America. She has worked and published in the field of psychiatry and is particularly passionate about sharing Yoga Psychology and making the wisdom teachings of Yoga accessible to all. are highly trained in their areas of expertise and will share their knowledge and experience with us to enhance the program. Pursue your passion and create a better life for yourself and others! Payment Plan available through PayPal: you have 6 months to finance your investment interest free. Please follow the PayPal Credit link for details. Take the next step on your journey! Integrative Yoga Therapy is a Yoga Alliance registered school and does not provide you with a Yoga Therapist qualification. It serves as an excellent foundation and prerequisite for enrolling in an 800-hour Professional Yoga Therapist Training Program. These programs are accredited with the International Association of Yoga Therapists. The Yoga Therapy components of our courses are based on our C-IAYT credentials through the International Association of Yoga Therapists, not derived from our RYS status with Yoga Alliance.